Flanders and Swann used to sing an amusing song about the Wompom – an imaginary animal / vegetable hybrid with an amazing range of properties. This song, which is still available on iTunes, often comes to mind when I’m reading about the latest “wonder material”: Graphene. 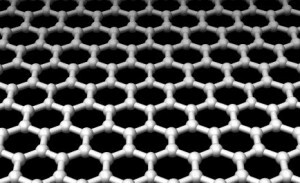 Graphene is harder than diamond and three hundred times stronger than steel, yet it is incredibly flexible and the world’s best conductor of electricity. You can mould with a finger and thumb. There is such an extraordinary range of potential uses for grapheme that there isn’t space to list them all here. However, to avoid diverging too far from the theme of this blog, some uses that may have an impact on telecoms include much faster integrated circuits, spray-on solar panels, massively increased battery capacities and lower cost displays that are simpler to recycle. And that proves very useful indeed. With a Wompom you have everything you need. With apologies to my younger readers who may never have heard of Flanders and Swann. This entry was posted in Telecom Ramblings and tagged Andre Geim, Graphene, Kostya Novoselov, telecoms, University of Manchester. Bookmark the permalink.